NEW YORK - Muslim groups and civil liberties advocates applauded the decision by New York Police Department officials to disband a controversial unit that tracked the daily lives of Muslims as part of efforts to detect terror threats, but said there were concerns about whether other problematic practices remained in place. The Demographics Unit, conceived with the help of a CIA agent working with the NYPD, assembled databases on where Muslims lived, shopped, worked and prayed. Plainclothes officers infiltrated Muslim student groups, put informants in mosques, monitored sermons and catalogued Muslims in New York who adopted new, Americanized surnames. NYPD spokesman Stephen Davis confirmed Tuesday that detectives assigned to the unit had been transferred to other duties within the department's Intelligence Division. Linda Sarsour, the executive director of the Arab American Association of New York, said she was among a group of advocates at a private meeting last week with police at which the department's new intelligence chief, John Miller, first indicated the unit - renamed the Zone Assessment Unit - wasn't viable. She applauded the decision but said there's still concern about the police use of informants to infiltrate mosques without specific evidence of crime. "This was definitely a part of the big puzzle that we're trying to get dismantled," Sarsour said. But, she added, "This doesn't necessarily prove to us yet that these very problematic practices are going to end." Another person at the meeting, Fahd Ahmed, legal and policy director of Desis Rising Up and Moving, called the decision "a small step." He questioned what had happened to the information gathered by the unit. "The concern wasn't just about the fact that this data was being collected secretly - it was about the fact that this data was being collected at all," he said. The NYPD's decision to disband the unit was first reported in The New York Times. An ongoing review of the division by new Police Commissioner William Bratton found that the same information collected by the unit could be better collected through direct contact with community groups, officials said. In a statement, Mayor Bill de Blasio, a Democrat, called the move "a critical step forward in easing tensions between the police and the communities they serve, so that our cops and our citizens can help one another go after the real bad guys." Since taking office, de Blasio has taken other steps toward changing how the police department operates, like ending the city's appeal of a judge's ruling ordering major reforms to the department's implementation of a controversial street stop policy including the implementation of the first-ever inspector general for the NYPD. After a series of stories by The Associated Press detailing the extent of the NYPD's surveillance of Muslims, two civil rights lawsuits were filed challenging the activities as unconstitutional because they focused on people's religion, national origin and race. Former Police Commissioner Ray Kelly had defended the surveillance tactics, saying officers observed legal guidelines while attempting to create an early warning system for terrorism. But in a deposition made public in 2012, an NYPD chief testified that the unit's work had never generated a lead or triggered a terrorism investigation in the previous six years. The AP's reporting also prompted an investigation by the CIA's inspector general. That internal inquiry concluded that the CIA, which is prohibited from domestic spying, hadn't broken any laws, but it criticized the agency for allowing an officer assigned to the NYPD to operate without sufficient supervision. The Center for Constitutional Rights in New York and the California-based Muslim Advocates, which represented eight Muslims from New Jersey in a 2012 lawsuit challenging the spying program, welcomed the unit's dismantling but expressed concern it wouldn't stop the surveillance in Muslim communities. "But nothing in the city's announcement definitively suggests they will put an end to broad surveillance practices, which would continue to be illegal regardless of which department within the NYPD might be engaged in it," they said in a statement. 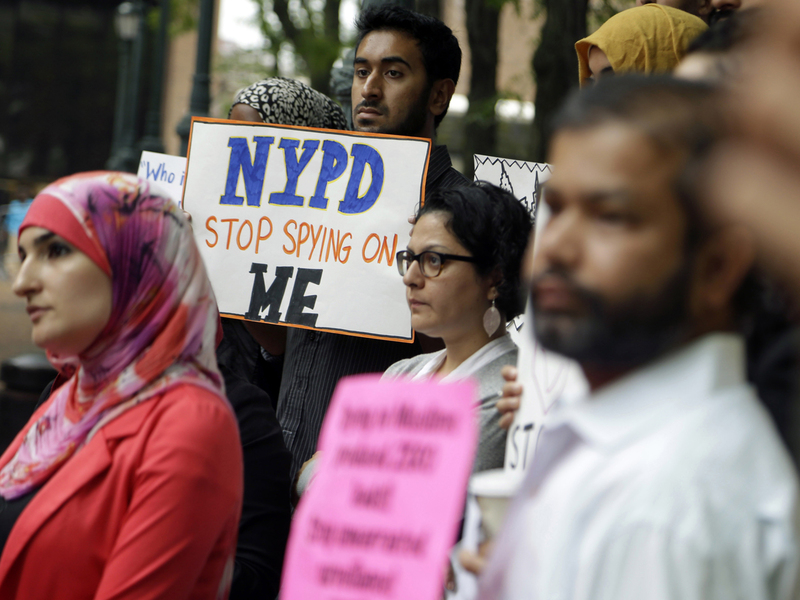 New York Civil Liberties Union Executive Director Donna Lieberman said police-community relations took a blow from the NYPD unit's broad surveillance of all Muslims, not just people suspected of wrongdoing. "We hope this means an end to the dragnet approach to policing that has been so harmful to police-community relations and a commitment to going after criminal suspicion, rather than innocent New Yorkers," said Lieberman, whose organization is involved in lawsuits over the practice.